Some people think we shouldn’t talk about Veterans on Memorial Day because it’s a day to remember those who have passed. But for Aaron Seaney, founder of the Sense of Self Project, the day is also about reminding Veterans who are still living—and in some of the worst conditions possible—that they haven’t been forgotten, either. In fact, he’s made it his life’s work to do so. 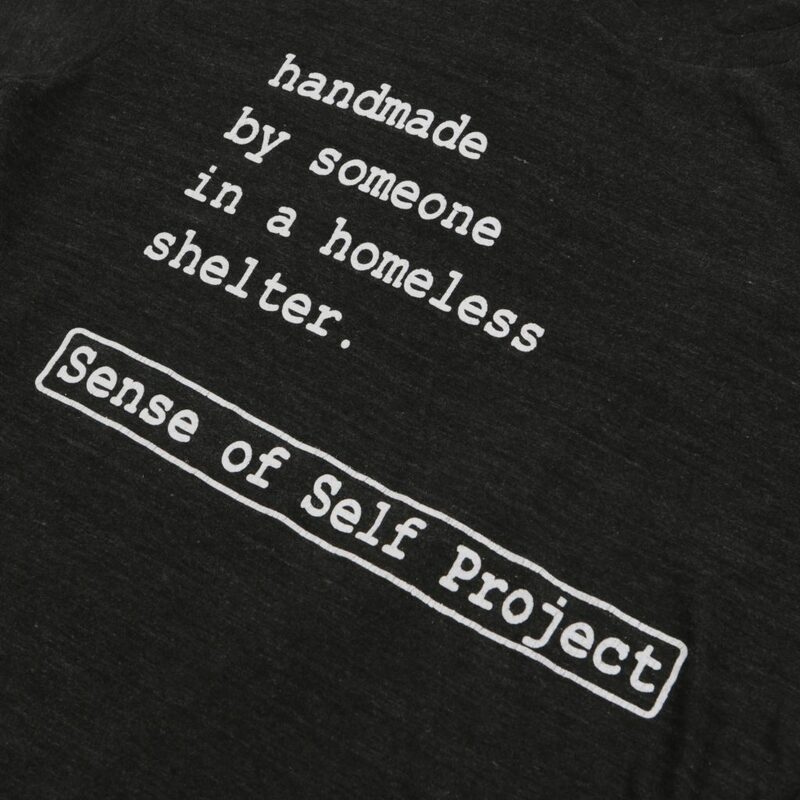 Fueled by the belief that no Veteran should be living in a homeless shelter without a job or means of getting the health and mental health care they need, Seaney created a subscription-based T-Shirt business in order to employ them and keep consistent work orders coming in. 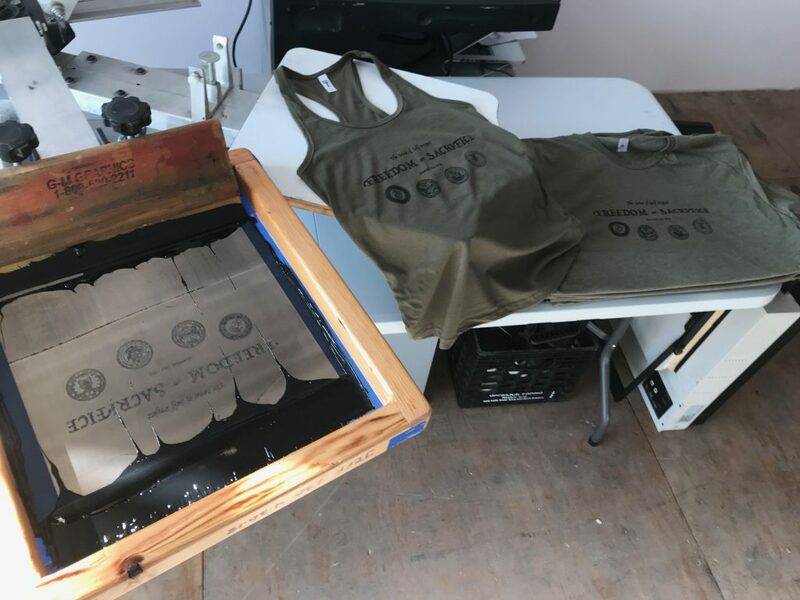 “Remembering those who have been lost is just as important as making sure those who are still here are able to truly live again with a high quality of life,” Seaney says of his Memorial Day Goal of fulfilling a total of 10,000 shirt orders. 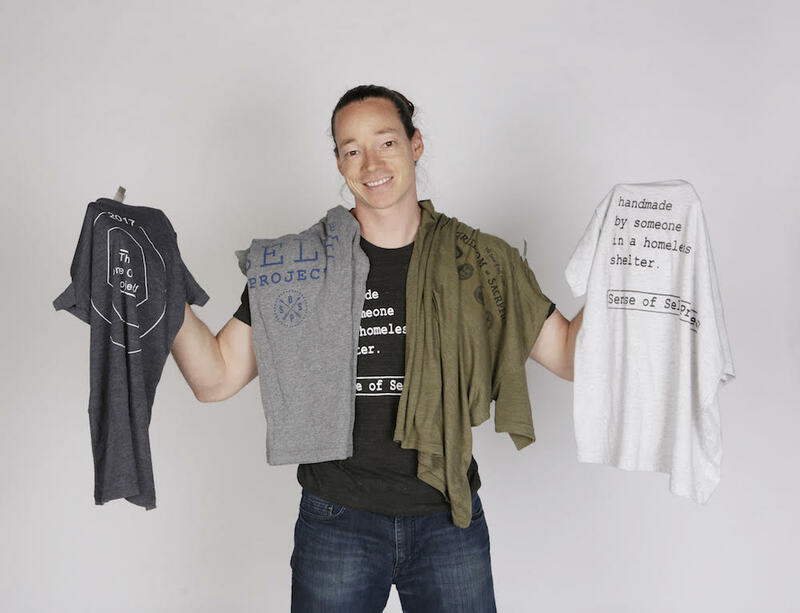 Six months ago, he personally recruited former U.S. service members outside of a homeless shelter to help him launch the initiative using donated shop space in Williamsburg, Brooklyn. 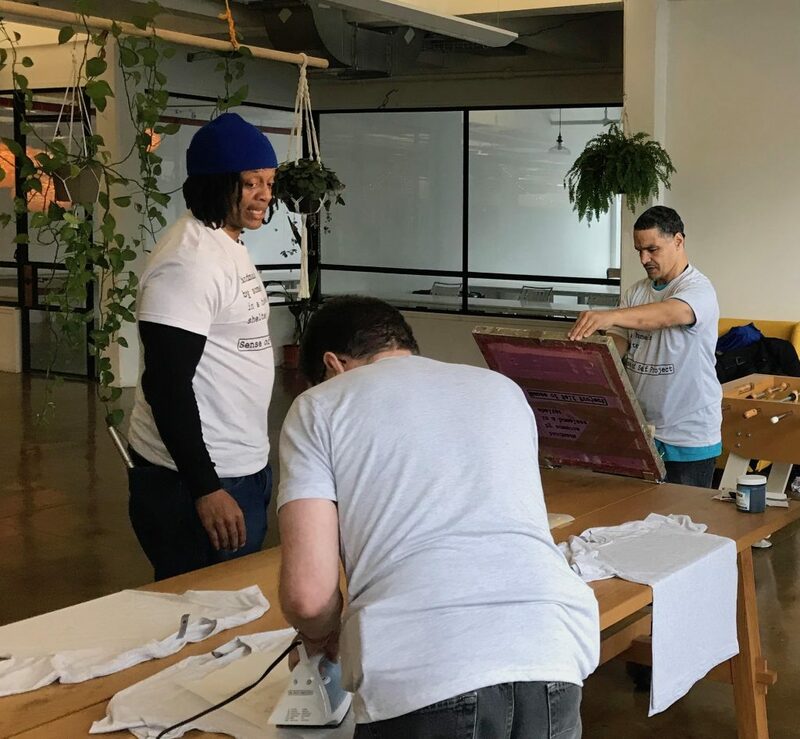 From flipping houses to flipping silk-screens, Aaron talked to us about what prompted his career change, the power of compassion, and how working with these men has changed not only their lives, but his own. Do you remember the exact moment when you realized you wanted to do something meaningful with your life? My father joined the Army right out of high school married my Mom—they were high school sweethearts—and I was born on a military base not even a year later. I grew up moving from state to state, military base to military base and lived in places like Texas, New Jersey, Los Angeles and in Germany before the age of 14. I wanted to make a positive impact on the world, so decided to study pre-law, and learned more about the world and politics. I very quickly came to realize that real change happens by people make change. They lead by being successful, lead by example and solve problems that need to be solved to help make the world better. This almost always requires money. The best way in my mind to do this was in business. I have always worked for myself mostly in real estate and property flipping. 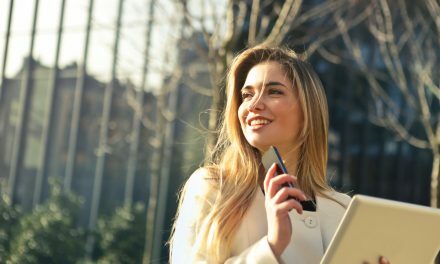 About two years ago, I moved here with no real goal except being ‘successful.’ Once I got to here, I quickly realized that unless you were ivy league, or already some sort of professional like a doctor or lawyer, it was very hard to start a career. It made me take a step back. I looked at each industry of the city and the types of people working in them, their education, their race, their opportunity, all the way to the bottom on which the city runs. Most are just barely getting by, paycheck to paycheck. There is a whole other section of individuals that just can’t get by: the homeless. Over 60,000 people per night in NYC alone stay in the shelters. At the shelter we work with there are 243 Veterans—216 men and 27 female Veterans—in serious need of work and support. How did that information lead you to founding the company? Although we are lucky enough to live in a county that is able to give its poor basic human rights, food and shelter, that does not begin to solve the problem of homelessness. It is just a bandaid over a hole in society. When looking at the systemic issue of homelessness and all its various causes, it really boils down to one thing: money. The only thing the gives a person the ability to make money and support themselves is a job. Without a job a person is not able to do anything on their own. They lose all self-esteem, all pride, all self-worth. Money starts to solve this, jobs give money, so thats what i set out to do, create jobs. I needed to find a way to create jobs for individuals of all skill levels, background, age, education. It needed to be easy to learn and easy to maintain. What was the first step, for you? I decided to learn how to silk screen t-shirts by hand and knew I wanted to mail them out monthly on a subscription basis. That would create easy continuous work that anyone can do. I walked into a t-shirt shop in Harlem and asked the owner if I could have a shirt made and help him make it, learn how to do it. I explained what I wanted to do, why and he was more than happy to show me everything i need to know to get started. He is now a great friend of mine. I learned how to make the shirts. I learned how to build a website. I learned the whole supply chain for everything i needed from blank shirts to shipping labels. I registered my business with the state of new york and i was off! I have bootstrapped the entire operation completely on my own with my own money from day one. i took no financial backers. How did you find shelters and programs that would send their men to participate? I was in and out of shelters and talking to management, case workers and the homeless and once I learned there was Veteran shelter, specifically, I went there. When dealing with and learning about how these shelters worked it became clear that there was a lot of red tape. I was surprisingly turned down access to the Veterans. So, I stood outside the shelter that very same day and asked the simple question of “Do you want to work tomorrow?” I got the same answer each time, yes. I take each vet out to a slice of pizza the day before we work just to talk and learn about them and their story. How long is the duration of the program/their work contract, and what’s the ultimate end goal? The goal is to reach more Americans that want to support our Vets with jobs and be able to hire as many our of the shelter as much as they are willing to work. A Veteran shelter is meant be a temporary transitional phase to help reintegrate those that need it. The Sense of Self Project hopes to be the same. We want to be a place that offers these Vets work because they are ready and willing but also offer the flexibility to go to doctor’s appointments, career training, interviews and apartment searching because all of that is the end goal. To be healthy, both physically and mentally, and be a self-sustaining member of society. Some long-term goals for us would be to help subsidize housing, commuting, food and grant micro-business loans to homeless Veterans that want to own their own business, and hopefully make a positive impact in the world in their own way. What are some of the most memorable things that these men have said to you throughout the course of working together? On the very first day we started, Dec 12 of last year, I brought the guys in and showed them how to set up and what we were doing. They were all sort of observing and learning. I grabbed a blank shirt and tossed it to one of them and said ” lets make some shirts!” I had him put the shirt down, center it under the screen, pulled the ink over the design, and with each step I saw sort of a light in him. He pulled it out, ironed it dry, held it up, nodded his head in approval with the rest of them…. when I told him to put it on he had the biggest smile. He made that shirt, he was proud, he did a good job, he felt good about himself. What are some of the lesser-known struggles that these folks face? They might be able to walk, talk and function, but something inside of them is broken after being in a war zone. I can tell that a lot of them don’t know how to express or even want to acknowledge what’s happening. Post Traumatic Stress Disorder creates a lot of issues when it comes to reintegration into a normal life. One day, in our workspace in Williamsburg, someone dropped something and the noise caused one of the guys to cower. He apologized to me and explained he watched two of his closest friends “blown into nothing” in front of his eyes. I don’t think that most people realize the weight and guilt and regret that some Vets carry and in turn how that affect all other parts of their life from interacting with people to being able to find, get and maintain a “normal job” or career. Yet, when they do, they kind of knock it out of the park…. The majority of these guys, because of their background of hard work and skills to follow orders, make amazing workers. Some of the men I’ve worked with actually lived on the streets or in camps a long time because they did not want to be a burden to anyone, but they just did not have a way to help themselves. Do you feel like there’s a distinction that needs to be made between homeless veterans, and non-military individuals experiencing homelessness? Most non-military individuals that find themselves on the brink of homelessness unfortunately are born into it. There is very seldom a clear path out of this. It is cyclical generation to generation. 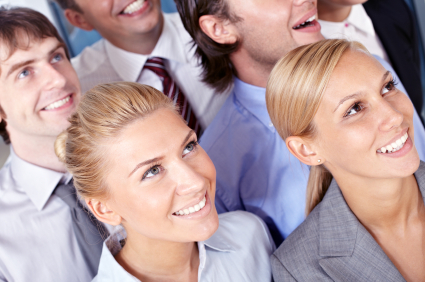 This way of life does not usually give or create opportunities and positive outlooks on the the world. These individuals can feel brushed aside, forgotten, like they don’t have a chance. Military Veterans that are homeless can find themselves in a cycle of negativity that is a result of mental trauma or physical trauma. The difference is they most likely would not have been there before. Their situation is a direct result of their sacrifice and their serving our country to protect the freedoms most of us enjoy. I feel like this is even more of a reason that the words ‘homeless’ and ‘Veteran’ should never be together. They want to work and be part of society. Something happened that changed that, I think it is our responsibility to support them. 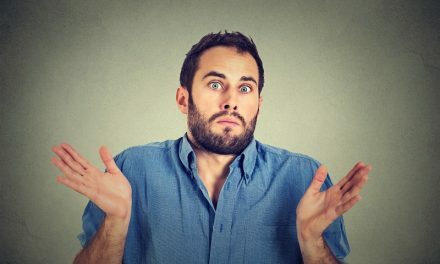 Is it possible to observe a clear difference in the way these men feel about themselves before they begin to work for you, and after? Just being given an opportunity to be successful is life-changing for them. You can almost see the stress and doubt fall off their shoulders and a sense of pride make them stand taller and smile brighter. They feel good about themself. Life requires money, they are given the chance to take care of their own life, to have control. It is a matter of worth and feeling vulnerable. They feel so good knowing that they are able to provide something for themself. They are also very grateful. “Big brother” (even though they are all much older) is what some of them call me because they say i’m watching out for them. 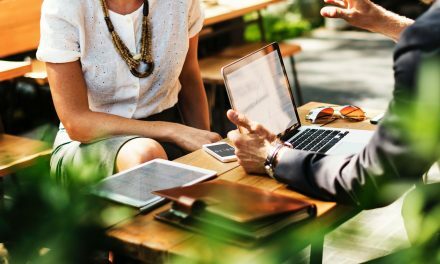 Have you ever thought about the connection between your flipping houses and turning around to employ those without homes? What I enjoy most is solving problems and bringing value to what others see as “limited.” Veterans can be viewed as a liability, not reliable and not even capable. They are pushed aside and overlooked. Some might look at a house and think that is old, broken and outdated and just move on and buy something new and forget about it. I look at an old house as 90% of the work is already done. You make changes, you update, you improve. With something as simple as a job, I hope to remind these Veterans that they are not forgotten, and they do matter. I see what what others may not, and am willing to put in the time and effort to help make them “new” again. In both cases, the foundation is there, there is great value in that. The Sense of Self Project is a member of the GozAround Small Business Network…….to see Aaron and the Veterans in action, watch the CBS News segment below.